All About Doors specializes in the installation, repair and maintenance of residential and commercial garage doors and garage door openers throughout Maryland, including Anne Arundel County, Baltimore County, Howard County and Carroll County, MD. Locally owned and serving the Maryland area since 1999, you can be assured of a quality job at a fair price. 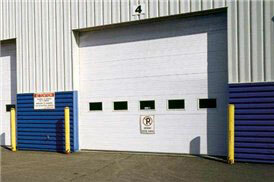 All About Doors can service all brands of garage doors. If a garage door cable, roller or spring has broken or the door has come off its track, or if you need a new garage door opener, be sure to give us a call. 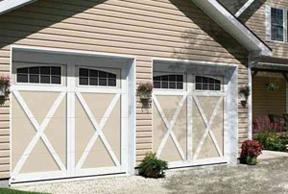 We have garage door solutions for single family homes, townhomes and multi-car garages. If you are looking to replace your broken garage door or just want to upgrade the look and energy efficiency of your home, be sure to ask us about the full line of Garaga garage doors we carry. All About Doors carries a great selection of insulated steel and aluminum doors, many even with the appearance of a classic wood door. Other garage door and garage door opener brands available include Wayne Dalton, Clopay, Genie, Amarr, C.H.I. Overhead Doors and Liftmaster garage door openers. All About Doors specializes in commercial and industrial rolling overhead doors, so if your building or warehouse needs replacement doors or you are looking for doors to be installed during new construction, contact us for a price quote.